Simply put, John Yandle just keeps pitching. 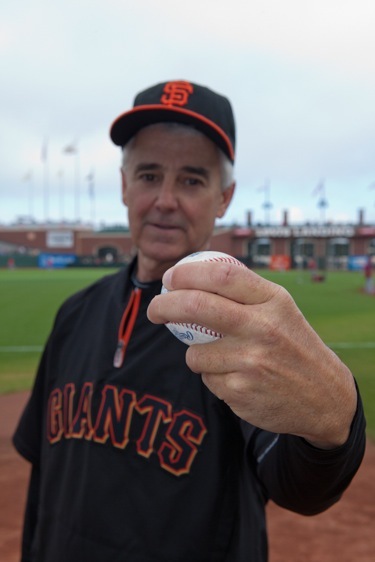 He holds a record of sorts, offering up left-handed batting practice for the San Francisco Giants on days the team faces a lefty for the past 28 years. The arm that got him into a big league uniform is the answer to another trivia question: What pitcher made it to the majors after retiring from the minors? The Stanford alum was drafted by the San Diego Padres in the 11th round of the 1977 amateur draft and made it as far as Class AAA ball, retiring in 1981 after the Padres released him and playing a short time for the Angels AA team. As a batting practice pitcher, his job is to throw strikes so that batters can hit the ball, although he says he’ll occasionally throw a curve. “In the early years, it was about my arm, now it’s about the angle,” he says, adding that he really enjoys going into the cage to work with an individual player where he gets to mix up his pitches. Like his gig with the Giants, John stumbled into living in Menlo Park, where he landed in 1989. He explains that a a friend knew about a house with a good-sized lot, which he bought with a couple of buddies. He ultimately bought the others out and tore the house down and rebuilt. He lives there now with his wife and three children, who attend school in the Las Lomitas district. John is quick to emphasize the support he gets from both his wife and employer (Cornish and Carey Commercial), allowing him to be at the ballpark rather than spending time with family or working. “She’s the one at home with the kids when I travel with the team,” he says, noting the upside is that his kids get to know all the players and sometimes the family plans vacations around road trips. 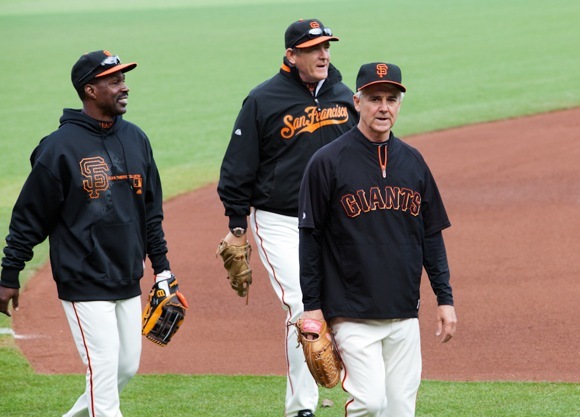 At age 57, does he have any plans to leave his batting practice duties behind? “Not while I’m still enjoying it — and can still do it!” he says.